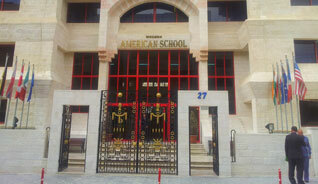 Modern American School (MAS) is a private co-educational day school established in 1986 and has since grown to host over 1,000 students per year. Under the visionary guidance of the founders of MAS, Mr. Taysier Zamel and Ms. Omaya Zamel, the graduates go on to pursue their further education all over the world after leaving the institution. In line with their motto, “if you believe it, you can achieve it”, MAS believes that they can achieve the best solution for their time attendance needs. 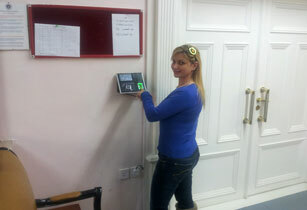 It was only right, then, that they chose to consult with trusted FingerTec reseller, Euro Jordan Trading Company. After listening to MAS’ needs and requirements, it was found that the school’s previous time attendance system had major issues with the software used, its integration with their HR system as well as having a faulty hardware. Euro Jordan proceeded to propose the installation of FingerTec’s Face ID 2 for the teachers of the well-known school in Jordan as well as integrating all the FingerTec machines with Pioneers Tech Soft’s system through Biobridge SDK. Although the school only used a fingerprint verification method prior to using FingerTec, they were impressed with Face ID 2’s quick verification speed and agreed to go for face recognition method instead. After the installation and implementation, representatives from MAS commented that there is a vast difference between the previous system and FingerTec’s. They go on to mention that “the (FingerTec solution) provided not only satisfies, but also impresses (them) with what looks like the latest and best technology in the market”. This has been one of the many successful installations done by Euro Jordan and the FingerTec family sincerely hopes that it will not be the last.